I read her debut novel Wench, and just let me tell you, I can talk about Wench all day long. Every time that I am with people and books come up, I have to mention Wench. So, I met Dolen a few weeks back, and of course I had to tell her about my love for Wench. I hope that Dolen did not think I was completely crazy, because first of all, I could not believe that I was actually talking to her, and I had to try to contain my joy. 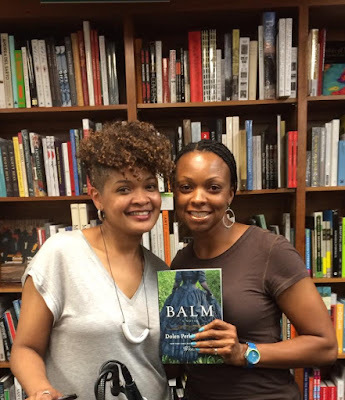 Then, I couldn’t stop myself from talking about her and her book and this literary movement that she and some other women of color are spearheading. These women of color are writing about love and Black folks with such care and dignity and it is causing much excitement much like the excitement that Zora Neale Hurston must have caused when she wrote about that passionate, respectful, feel-good love between Janie and Teacake in Their Eyes Were Watching God.... strong female characters who love and are loved back. Now, I don’t want anyone to think that Balm, Til the Well Runs Dry, Land of Love Drowning, or Their Eyes Were Watching God or any of those other novels written by women of color are just about love. Yes, they are love stories, and soooo much more. 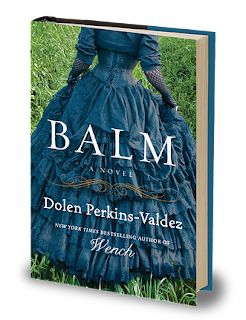 Balm is set right after The Civil War, and we meet Madge who has magically hands, Sadie who can speak to the dead, and Hemp who is an ex-slave who is frantically searching for his wife. However, the love part of this story really spoke to my heart. I won’t share much about that part, but know that when I got to the end of part one, I started crying uncontrollable while I was sitting in Whole Foods... Yep, I cried, and cried, and cried! Dolen uses well crafted storytelling in order to tell every major and a few minor characters' stories. I felt like I knew these characters, and when one character used her entire body to take away another character’s pain, this evoked emotions that I did not know I had, and I cried, and cried, and cried. I could feel his pain, and I could feel the other character’s desire to help him with the one thing that she knew that he needed, her body. 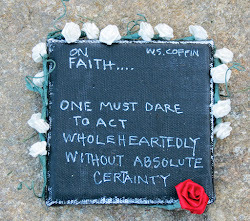 Near the end of the novel Dolen states “The sisters had preached self-reliance, but the real thing was community.” This theme also resonated through the entire novel, and Dolen cleverly drove home the point that people need other people. I just loved the sense of community that’s all over this book. This is a sho’ nuff good one! This sounds epic. I just checked it out on Goodreads and I might just add this to my next to-purchase list! Epic is definitely the word that I use for this novel. With all of the talk now surrounding The Civil War and the Confederate flag, this is a very timely novel.